Military Vehicle Photos - Austin type? Austin K9WD box-body. Markings for 2 Division (used to be based in Bunde, Germany). This vehicle was mainly used in the radio (D11) and radio-relay (C41/R222) role. 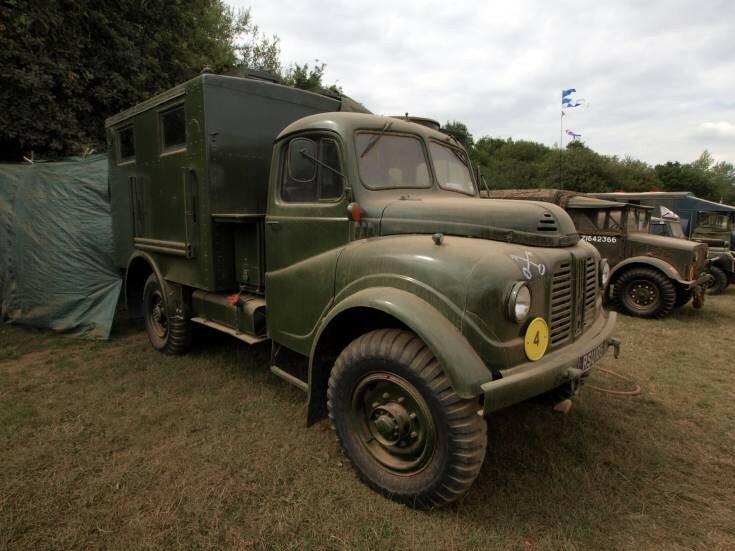 other versions used by the military were the 1 ton GS truck, 200 gallon water-tanker and an ambulance version used mainly by the TA and RAF. Added by Roger Greenaway on 21 January 2013.